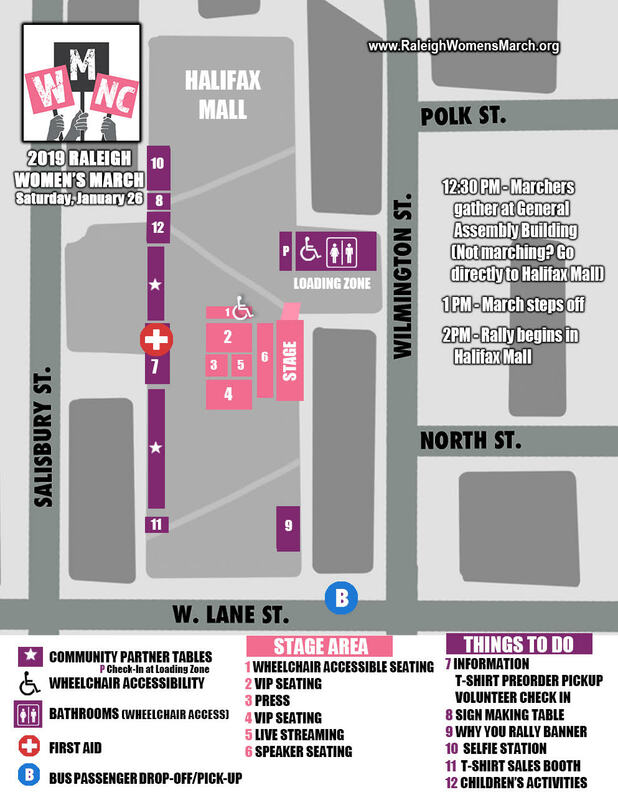 Women Mobilize NC is NOT affiliated with the National Women’s March and has organized each event in Raleigh independently. We are appalled by the rise of anti-Semitism and the pain and suffering it causes. 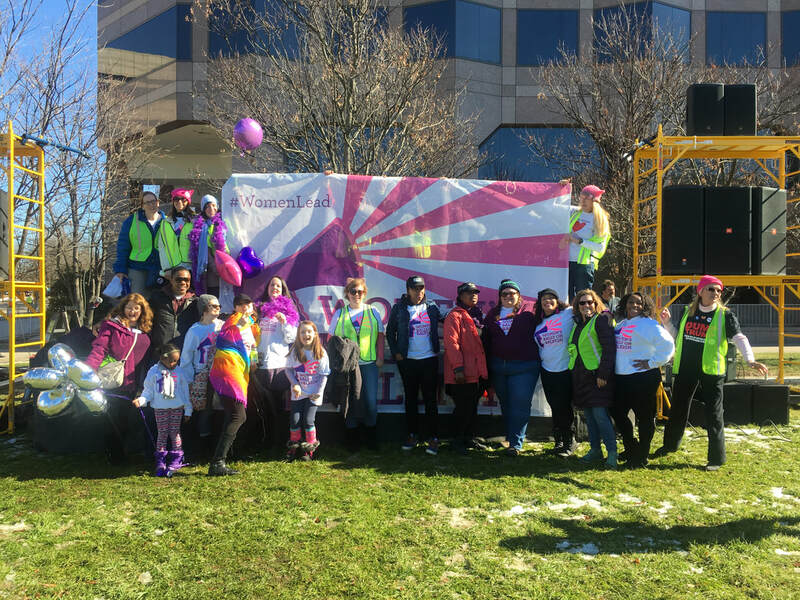 Women Mobilize NC stands with all women and members of the LGBTQIA+ community. We condemn all forms of hate and bigotry. We denounce all acts of violence and hate both locally and nationally, whether based on white supremacist/white nationalist ideology, anti-Semitism, anti-blackness, Islamophobia, xenophobia, homophobia, transphobia, racial prejudice, classism, sexism, or any other form of bigotry and oppression. We stand in solidarity with anyone who is facing oppression and discrimination, whether it is interpersonal, institutional, or systemic. We join all of our sisters and allies in drowning out the hateful noise with the voices of a diverse, intersectional, powerful and united movement. 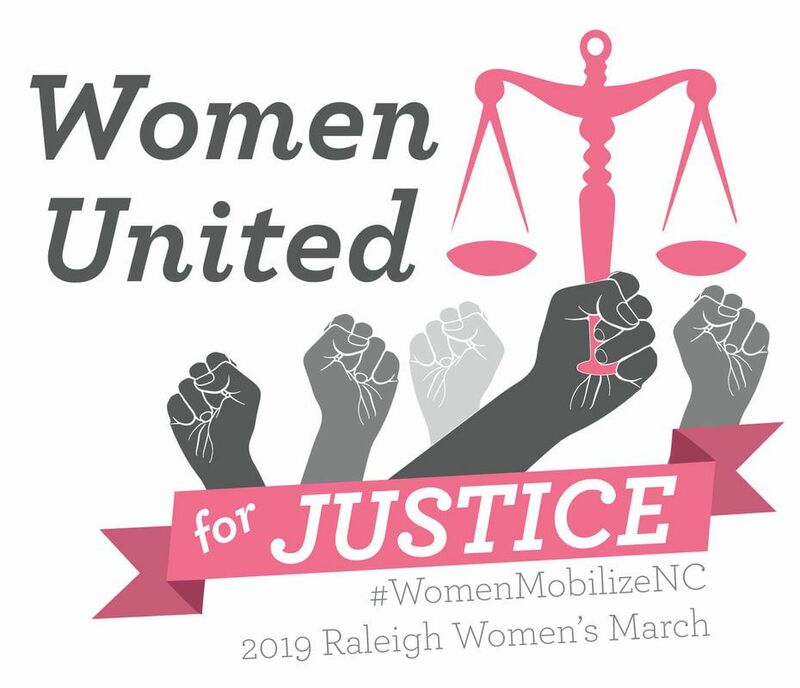 We will be marching together in Raleigh on January 26, 2019, for all North Carolina communities. 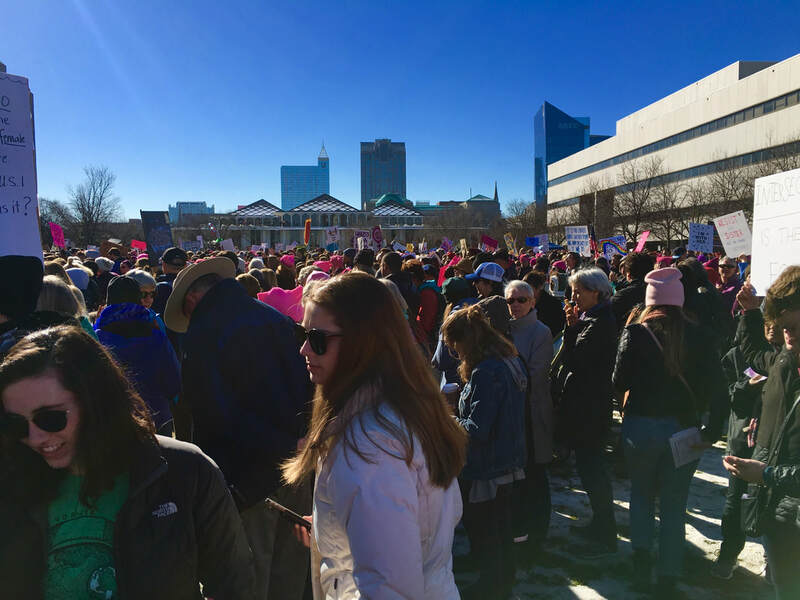 What is Women Mobilize NC? 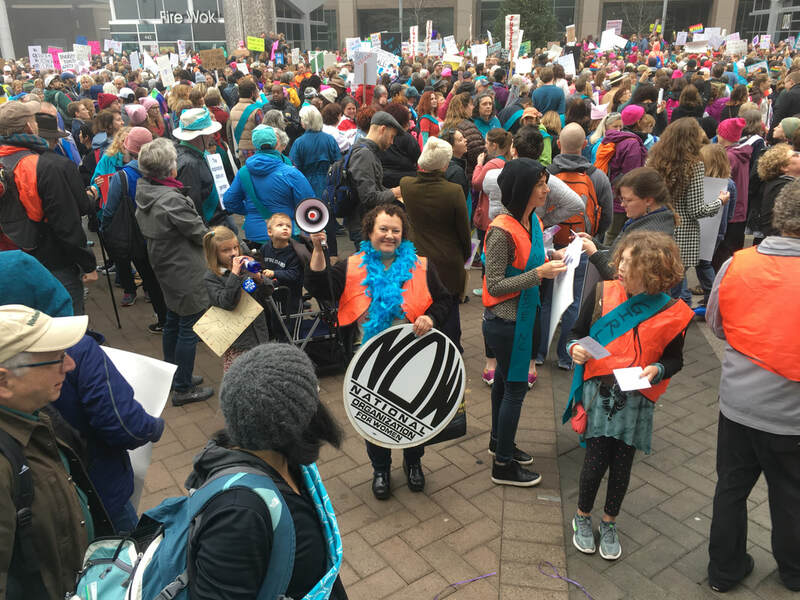 Women Mobilize NC is an ad hoc volunteer group formed from the organizers of the 2017 Women's March on Raleigh. 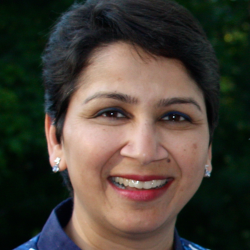 We work to promote actions, events, and groups in North Carolina that further our mission. We marched, rallied, called, protested, wrote and continued the movement in 2018 and will continue for 2019. 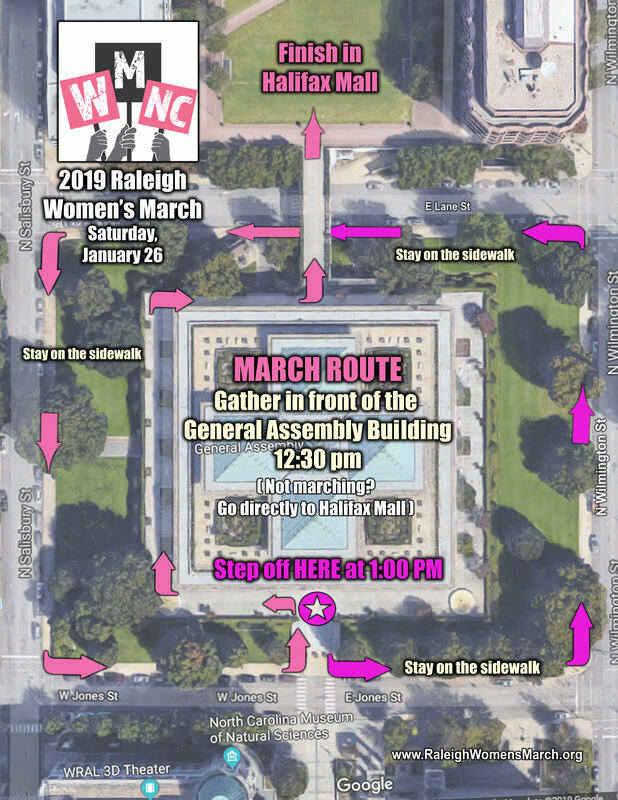 For more information about the 2019 Raleigh March & Rally or Women Mobilize NC, visit our Facebook page or email us. 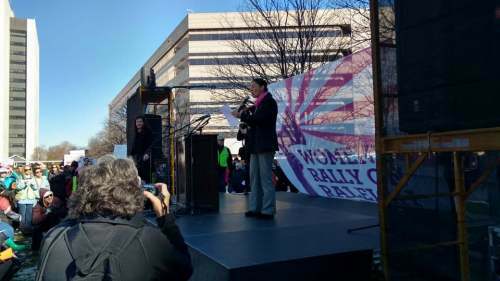 “We have the opportunity to restore democracy to North Carolina...Remember, it is women who are leading this fight​!” -- Anita Earls, NC Supreme Court Justice. (Adult or Youth) - will be available for sale at Halifax Mall. Last year we sold out early. 1:00 pm Stepoff- 16W. Jones Street, Legis Bldg.